I don’t even know if this is in Pasig. I’m not very familiar with the place but I have to. This is the area where he transferred brought about by the change of his employer. But it’s a good thing too since we can expand our exploration from Kapitolyo, BF, Salcedo Village, Legazpi Village and now, Wilson’s! If you are familiar within this area, it is opposite Nathaniel’s. Isn’t the place reminds you of all the small good things there is? The walls are adorned with colorful vases and bottles on the far end. 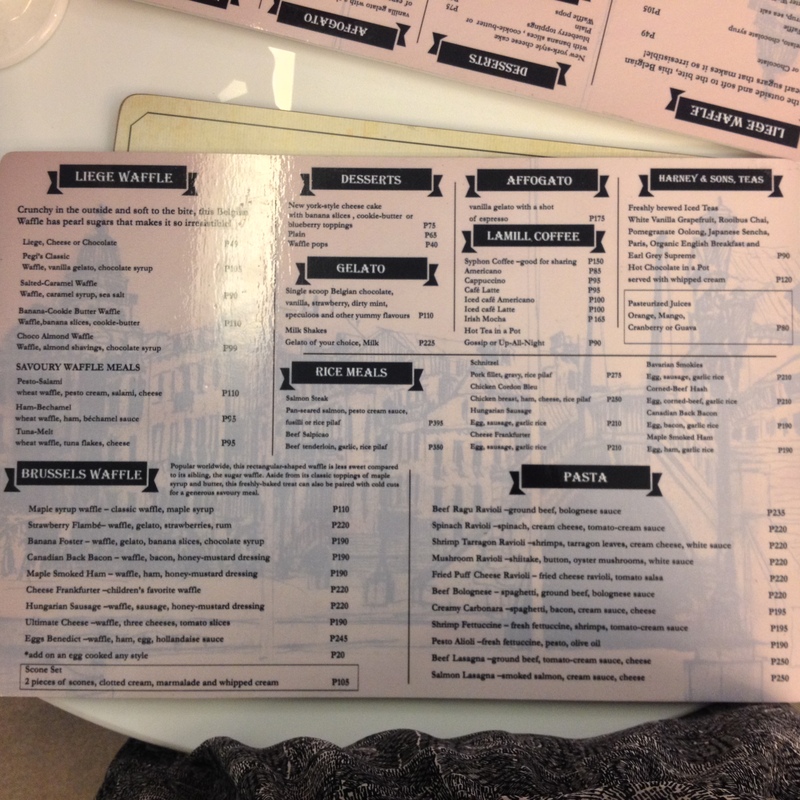 Aside from their waffles, they also serve pastas and rice meals. You can also choose whether to have sweet pancakes or the full meal pancakes. And since we were not really that hungry, sweet waffles it is! I ordered the Pegi’s Classic Waffles for Php 105. 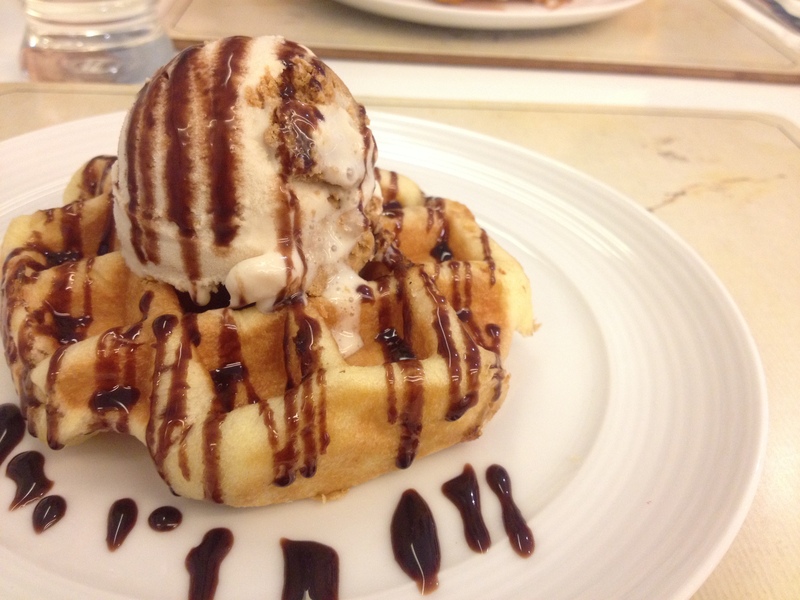 Waffles with Vanilla Gelato and Chocolate Syrup. Luck for me, they were out of Vanilla Icecream so they made me choose from the selection. I chose the Speculoos one. 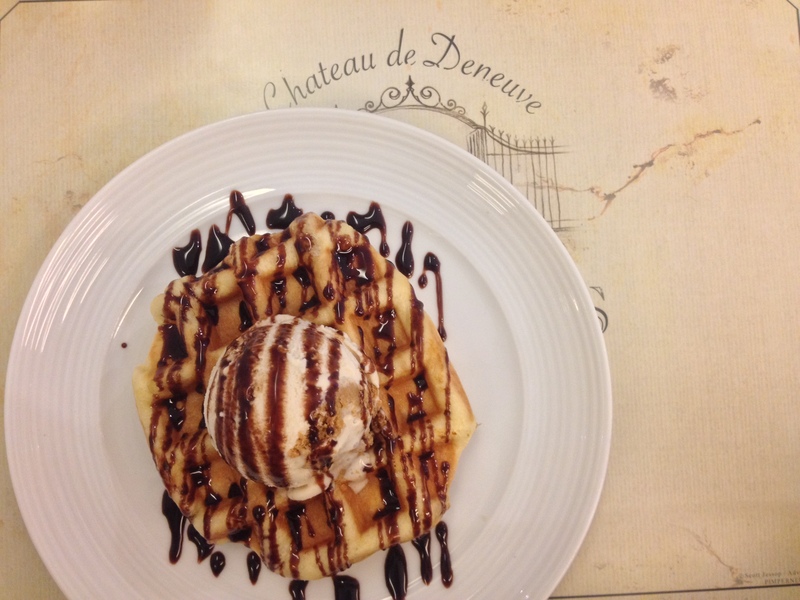 The waffle was superb but I can’t say the same for the Speculoos Icecream. It doesn’t even taste like the Speculoos itself. 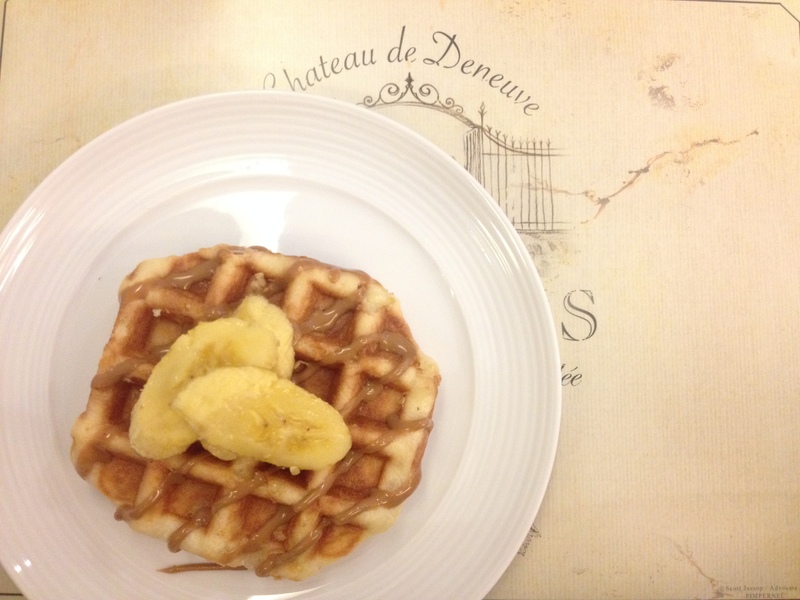 I bet if you stick with Vanilla, you’d love this Classic Pegi Waffles. 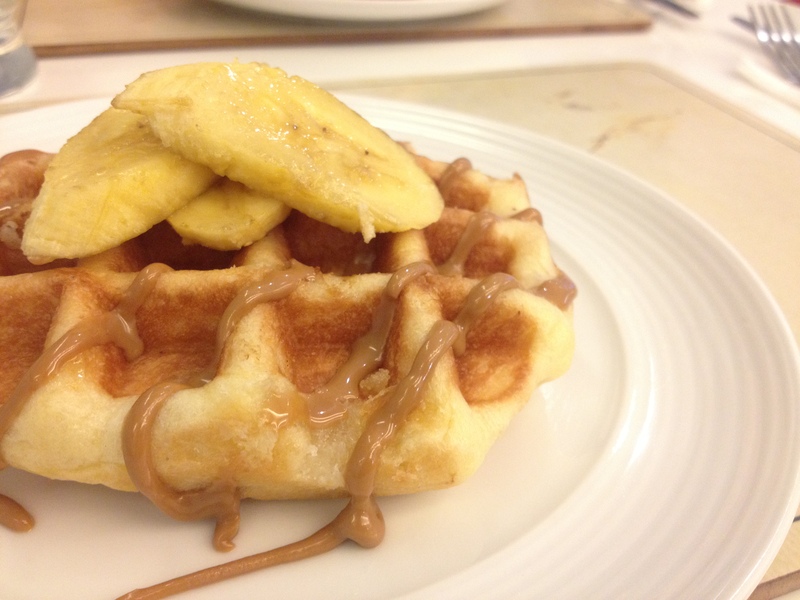 This is the Banana Cookie-Butter Waffle for Php 110. This is a much better choice if you are looking for a peanut butter cookie taste. The Speculoos Icecream did not do justice. But this waffle did! All the zigzag brown goodness? That’s the cookie butter. It’s so gooooooddd. Of the rare times jude ordered the better one. Haha. Kidding.